In Korea, as with much of Asia, the lunar New Year holds strong traditional importance and still remains extremely significant in modern culture. The celebration spans a period of three days surrounding the first day of the lunar year, which generally falls on the day of the second new moon after the winter solstice. 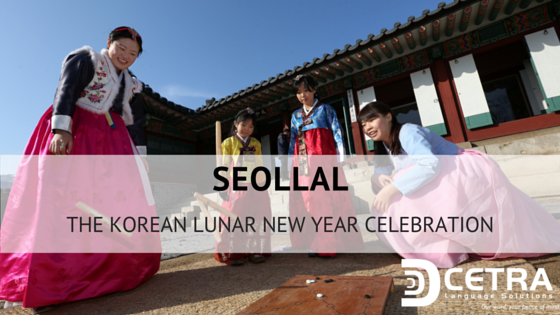 Though many Koreans may informally celebrate the western New Year on January 1st with friends or at public events, Seollal is time for family. Most people will travel to their family home, and spend the days eating holiday foods, showing respect and gratitude to their relatives with traditional activities and symbolic gestures, and generally ringing in the New Year united together as a family unit. It is a time to remember and recognize the sacrifices that others may have made to help you achieve your own success, and it’s a time to remember where your roots are and how interconnected each individual member of the family is with the whole group. 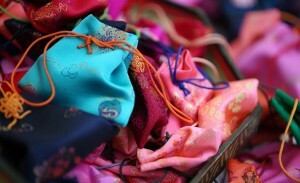 In more traditional households, family members might dress up in the colorful, traditional Hanbok dress to show respect for ancestors and their own history. However, it’s just as common nowadays for families to show up in their usual every-day wear. Young members of the family may bow and express their gratitude to the older members of the family for their support and sacrifice, and wish them health and luck for the upcoming New Year. In return, older relatives will often give gifts of small amounts of money (usually crisp, new bills) in colorful ‘luck’ bags and share some words of wisdom that the younger person might use for guidance in the upcoming year. As with any family holiday, the rest of the time is largely spent eating and relaxing. Sliced rice cakes, Tteokguk, play a prominent role, and the smooth, white slices are said to represent a clean, fresh beginning to the New Year. Traditionally, Koreans consider themselves a year older with the beginning of the New Year, not on their own birthdays, so children are often playfully warned that they can’t get any older until they’ve eaten Tteokguk during the holiday. Family holidays are important in every culture, and though the traditions may differ, in the end, simply being with family is the most important tenet that no globalization or modernization will ever touch. Whether your year began in January, or if your fresh start begins with the Lunar New Year, may your roots hold deep and your year start strong with the support and love of your own family, no matter where in the world you might be. Happy Lunar New Year, from CETRA Language Solutions!